Purchase this product and earn 58 Reward Points! Learn more. 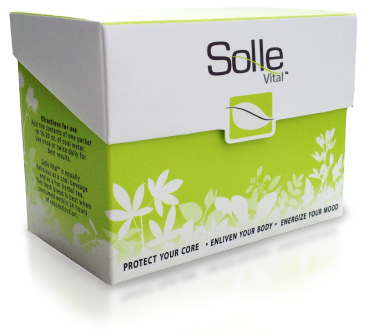 Solle Vital™ is a premium plant blend consisting of 3 balanced, proprietary ingredient groups – minerals, chlorophyll and adaptogens. Formulated to protect, enliven and energize the body and to strengthen and support a balanced mood. Solle Vital consists of Multiphyllin™ Prime Chlorophyll Blend, SativaMin™ Plant Trace Minerals and AdaptAble™ Balanced Adaptogen Blend, our proprietary adaptogen herbal blend. 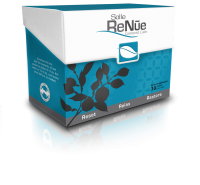 1 box containing 30 single serving packets. Take one packet in 16 – 20 oz. of cool water. I use for energy, blood purification, skin issues, blemishes, hormone headache, PMS fatigue, depression, internal deodorizer, candida and so much more. Emotionally beneficial for those on the go, adrenal issues, over-give and fulfill everyone’s else’s needs without replenishing yourself, trouble setting boundaries, exhaustion, caretakers and people pleasers. Also, for those take charge type of people, this is your fuel.